We climbed the dirt track between the houses of Cliff End. They seemed to become more expensive as the path got higher and views got better. After a short climb we emerged onto an open clifftop. In the distance we could see the Fire Hills of Hastings. The village of Fairlight Cove sat nestled in front of them. Immediately before us, the effects of erosion on the hill where we stood were apparent. I must gratefully acknowledge Jody for the word riprap; I had never heard of it before she drew my attention to it. I have been looking forward to using it ever since (it is, after all, a delightfully compelling word). Riprap is rock or other material used to armour shores in order to absorb or deflect the energy of waves. I wonder how many residents of Fairlight Cove know the word, even though it protects their houses from crumbling into the sea? We entered Fairlight Cove at Sea Road, to its eastern end. We walked by houses separated from the road by driveways bridging a deep ditch. A small stream ran along its bottom. The walls of the ditch were lined with wide-leaved plants. Trees were covered with ivy stems as thick as my arm, hanging down like creepers. It was almost jungle-like. I was expecting to see crocodiles hiding in the depths, waiting for unwary travellers to trip over a stone and join them for lunch. Sea Road led into the village proper. Here there was a more traditional and less tropical arrangement of houses, although towards the south side, near the cliffs, several of the roads were private unmade tracks. We walked along these where possible, eventually emerging onto a clifftop road. 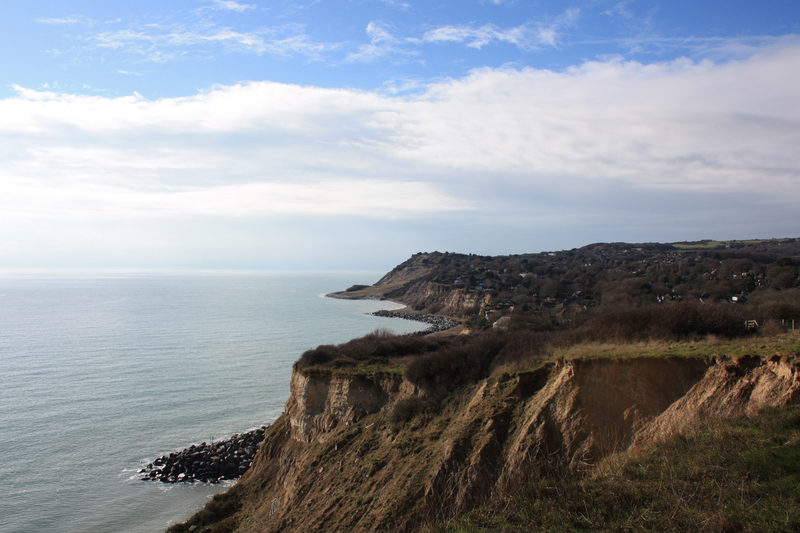 This was Channel Way, and it led directly into the far eastern end of Hastings Country Park. 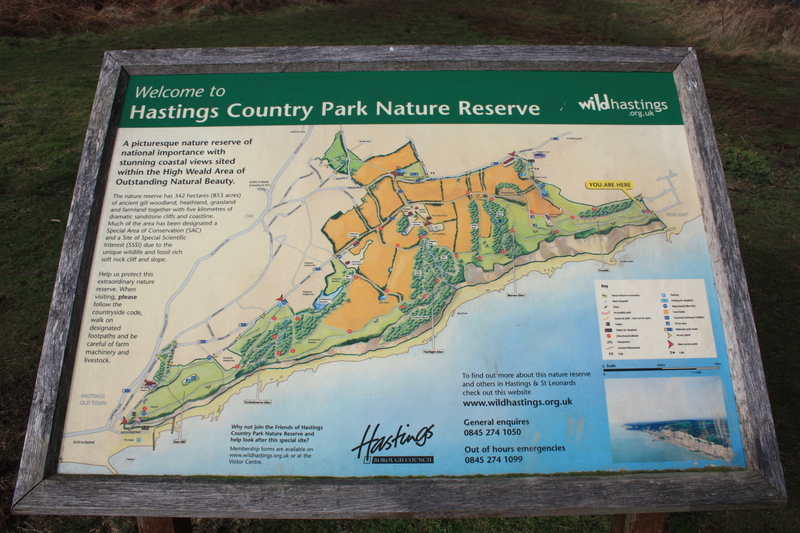 As we entered the park we were greeted by an information board. It makes the Country Park look rather small and unassuming, requiring little more than a quick traverse across some grassland and a couple of wooded areas. Perhaps if it showed a few huffing and puffing cartoon figures, it would be more representative of the thoroughly enjoyable slog that was to come, involving some 1,000 feet of ascent. We decided to stop for lunch before continuing. 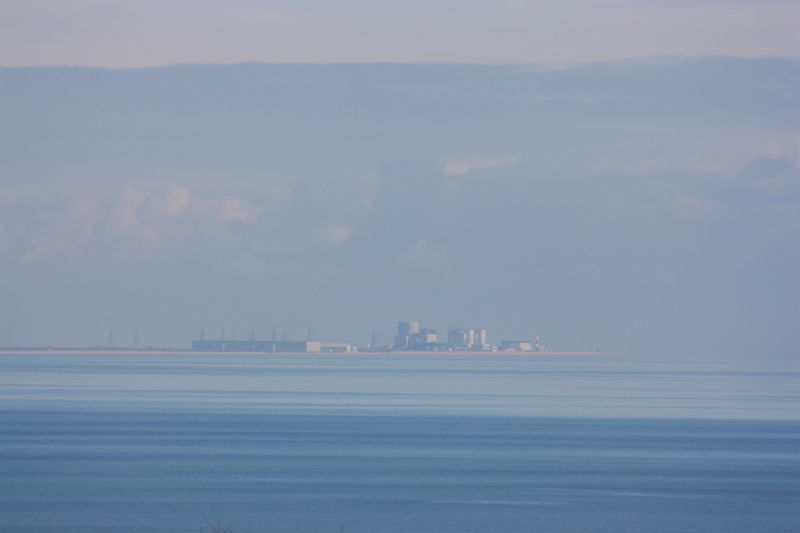 As we ate we gazed at the view back to Dungeness, some 14 miles to the east, where the blue of the sea merged indistinguishably into the blue of the sky, and the calm waves formed rolling contours across the water. 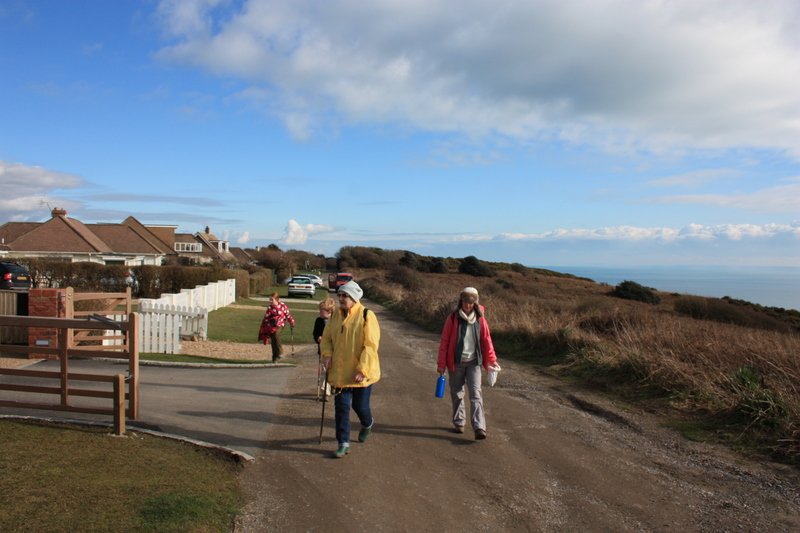 This entry was posted in East Sussex and tagged coast, Dungeness, East Sussex, Fiarlight Cove, riprap, travel, walking. Bookmark the permalink. That’s all really interesting. It’s just amazing how lighthouses can be moved!